March for Life is a nationally recognized event and protest for the right to life of all humans. If you’re interested in creating your own March for Life event, outlined below is how to promote messaging and the basics of leveraging Facebook advertising for the event. We also recommend bookmarking this page so you can consult this guide when setting up different Facebook promotions. The March for Life is an annual peaceful protest that allows Americans to speak out against abortion and advocate for the right to life for all. The first event was held in 1974 and started as a protest of the infamous Roe v. Wade Supreme Court ruling. Since then, both local and national marches are held every year around January 22. While the national march is always held in Washington, D.C., you can use a complete list of local marches to find one near you. This year, the event will be held on January 19, 2018, with the theme “Love Saves Lives.” Marchers are also encouraged to participate in this theme online by using hashtags #WhyWeMarch and #LoveSavesLives. Organizing your own event is a great way to raise awareness in your community about the injustice of abortion. You’ll want to spread the word to your donors, potential supporters, and volunteers. It’s also helpful to set a donation goal before the event so everyone has a clear idea of what you and your supporters want to accomplish. 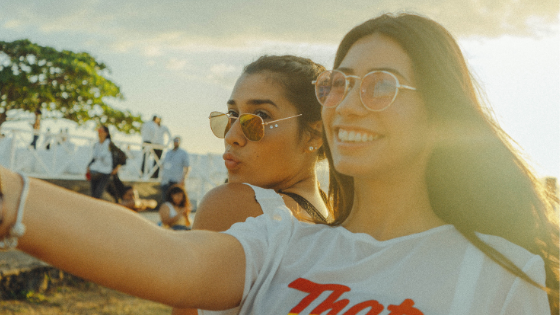 Using social media is an efficient and beneficial way to increase word-of-mouth and bring in donations for your upcoming event. Through Facebook, you can create and spread the word about events for free. 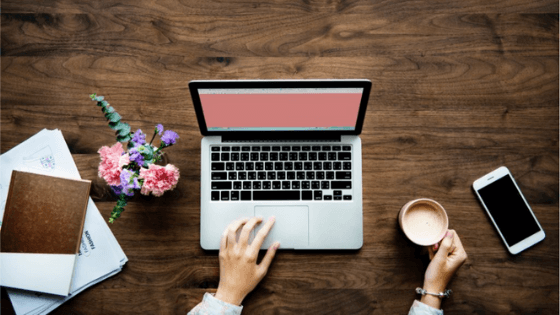 Go to your business page (you do not need a business account to make an event, but it is helpful if the event is through your organization and not a person). Click on the “…” icon that appears below your cover photo. Click “Create Event” from the drop-down menu. Fill out “Basic Info.” This includes the name of the event, an image for it, a location (by street address, city or venue), the start date and time and the end date and time. Add event description. You can write a short paragraph about what the event is, what it’s supporting and something about the organization that’s holding it. Select whether or not the event is kid-friendly. Select additional options. Does your event have a co-host? Do you want to approve posts by others before they appear on the event page? The latter is recommended. And that’s it! Your event is now live. For additional Facebook event tips, visit https://events.fb.com. Boosting your event will encourage more awareness, increased event responses and more donations for the event. While creating an event, or after it’s already published and live, click on the “Boost Event” button at the bottom. From there, you’ll have to select a target audience. If you do not have a target audience already made, see “Creating a target audience” below. For the promotion, you’ll need to set a total budget and choose how long you want the promotion to run. Your event is now promoted. 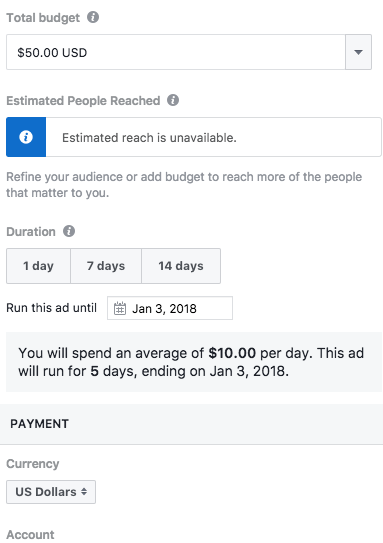 Likely, Facebook will have to review the promotion before it goes live. Usually, promotions are reviewed in 15 minutes, but this can take as little as 5 minutes to a couple of hours. Keep an eye on it to make sure that is approved. If for some reason your promotion is denied, you can submit an appeal for it to be re-reviewed. Make sure you’re reaching the right people with your promotion. While there are several different ways to create a Facebook audience, the most popular ways are: custom audiences (geotargeting, specifying demographics, behaviors, psychographics and more), uploading a database of email addresses to target and making a lookalike audience that targets similar people to those already in your audience. In addition to creating events, you can also post and advertise about your event. Listed below are the best types of ad objectives for this type of event and the importance of landing pages. This is the best objective for ads where you want people to like, comment and share. This is also a second way to boost your event. If you want to promote your event, select “Event Responses” as a goal, otherwise choose “Post Engagement” for everything else. This is the ideal objective if you want to drive traffic off of Facebook and on to your own site. By linking your landing page, people will visit the page when they click the button on the ad. This also is the only objective with the call-to-action “Donate Now.” Unfortunately, you cannot customize your own buttons and must select one that Facebook offers. 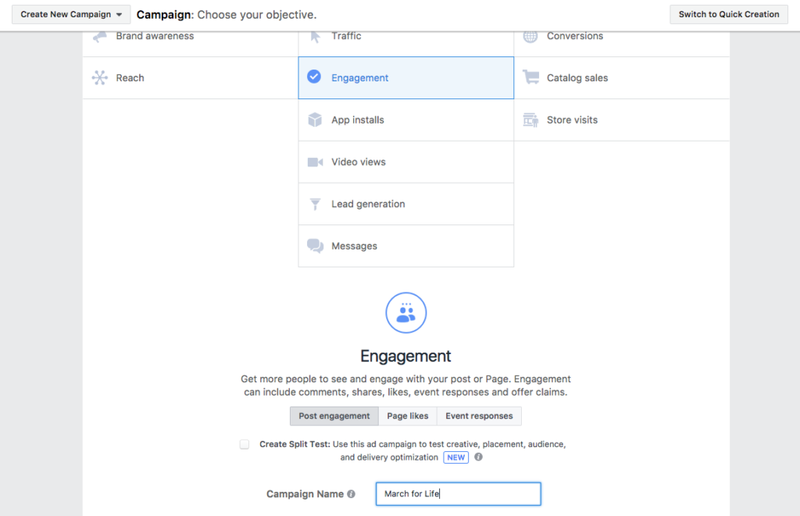 Make sure that both your landing page and Facebook ad have matching messaging. In this case, that would mean using the same language and wording like “March for Life.” Make sure that your landing page has a clear call to action and is easy for users to donate. Savvy is a great tool and easily customizable for website donations. During your march, you want to be a part of the conversation. Make sure to respond to review and comments that you might receive during the event. It’s also helpful to take photos and live coverage during the event for those who were unable to make it. Both Facebook and Instagram have live video features. Click the “Start a Live Video” in the status bar on your center’s donor page. Live Video: this option skips inviting friends and allows you to write a description of the event. Popular Mask: this allows you to open Facebook popular masks, a feature similar to Snapchat’s filters. Audio broadcast is an alternative to live video. After the event is over, you’ll want to thank everyone who played a role in your march, from donors to walkers and supporters. Post some additional photos or videos you shot during the march, send an email, and/or write a blog about the event. This is also a critical stage for evaluating and planning for next year while everything is still fresh in your mind. Ask yourself what went well and what you could do better next year. From everyone at Choose Life Marketing, thank you for your participation in the fight for life. We appreciate your support and hope your march is a huge success. 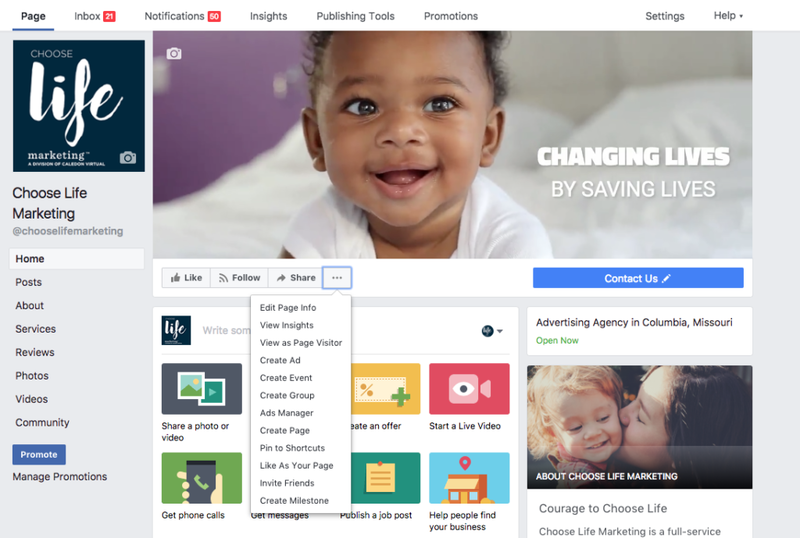 If you’re interested in Social Media Management services for March for Life or other sponsored events, contact Choose Life Marketing for a free quote.